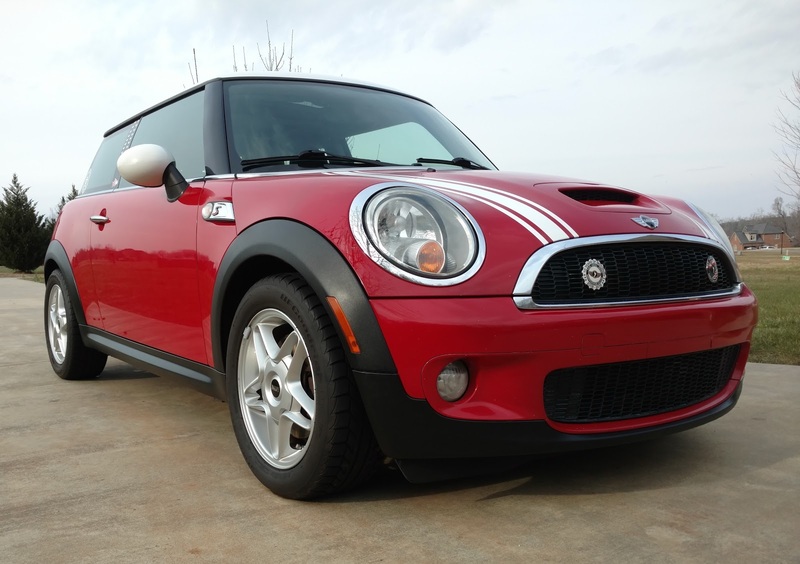 Although owners of the different generations of MINIs may engage in some friendly picking with each other about which generation is best, they all have one thing in common. That is having to deal with maintenance of the black trim pieces. Of course, black trim is not limited to MINIs and is a problem for a lot of people as you can tell by all the products on the market designed to keep it looking black and combatting the inevitable fading that seems to occur. Thanks to Paul Penny and some folks over at Motoring Alliance, I stumbled upon a new method that looks to the home improvement market for a solution. The product in question is called Penetrol. It is a paint additive that is primarily designed to eliminate brush marks. I did note that the container says it can also be used to restore fiberglass. Penetrol can be purchased at places like Home Depot or Lowe's. As 2015 draws to a close, I have started the process of conducting an in-depth test of Nirvana as a possible solution to transition away from Todoist. I've briefly tested Nirvana in the past and found it lacking. 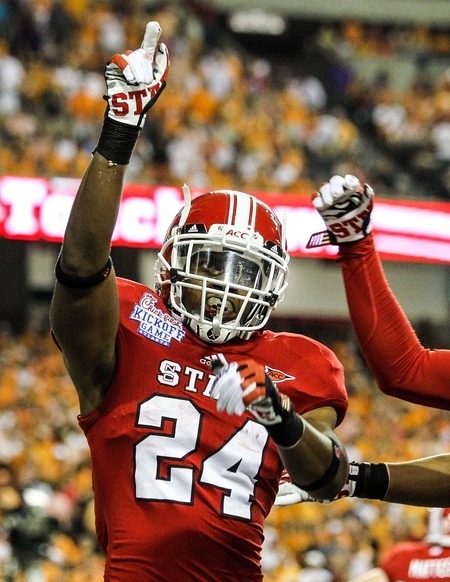 However, it looks like they issued a pretty significant update this past fall. As I prepared to take the plunge on doing an in-depth test, one nice thing I discovered was I could unlock the Pro features with just a monthly cost of $5. I thought I may have to spring for a whole year, but I can just upgrade later if I decide to stick with it. 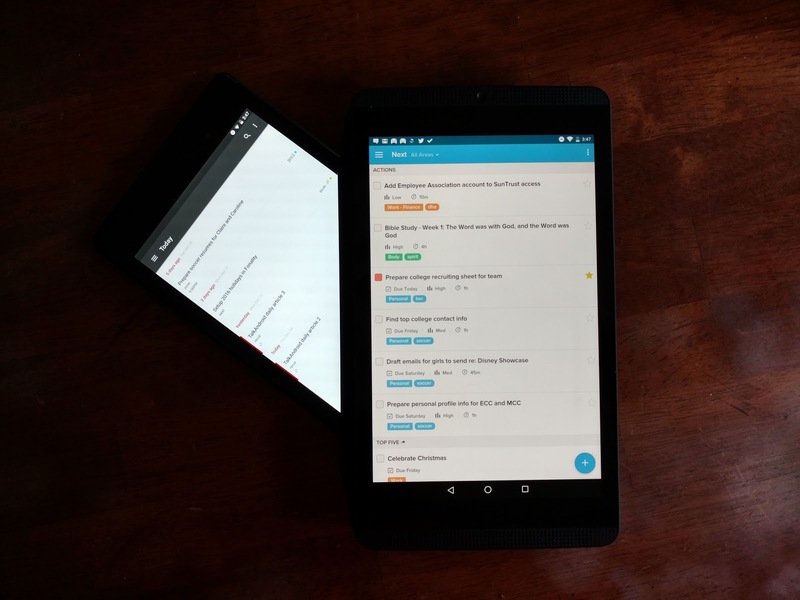 The first step in this project is trying to figure out how to configure Nirvana in light of my Todoist configuration, which is the primary focus of this post. I'm expecting the transition to be a bit of a challenge because Nirvana sticks fairly close to the GTD method and although I incorporated concepts of GTD in my Todoist setup, I had also strayed quite a bit, so I need to get things reined back in for Nirvana. On November 28, 2014, I had a new activity tracker - a Jawbone UP24 - and a new weight loss goal. My target when I started was to get down to a weight of 250 - that meant losing right at 90 lbs. in one year. Almost 51 weeks to the day, I can say - MISSION ACCOMPLISHED! Along the way the UP24 died and I ended up replacing it with a Fitbit Charge HR. The combination of two different activity trackers also meant the use of two different apps for about half the year. I continued to use the UP app since I had my initial history in it. 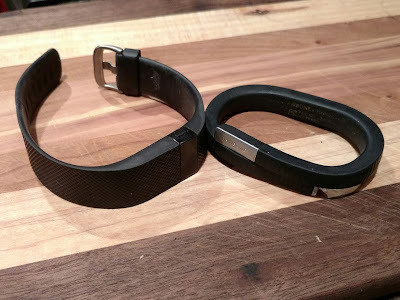 At times I wish I still had a Jawbone tracker as I liked the smart coach feature in that app. So I got this new PC at work after several years with the last model. You may be able to tell if you zoom in that I am now running Windows 10. 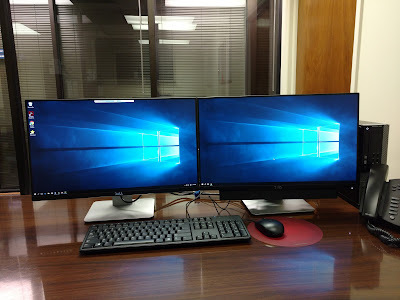 Actually, the computer is setup to dual boot either Windows 10 or Windows 7. I am the first user with Windows 10 at work and will be doing all I can to learn what works, what doesn't work. Kind of a long-term beta test so we can be prepared for the day when Windows 7 end of life comes up. The plan is to only use Windows 7 in emergencies or when something just is not working right in Win 10. We are not off to a good start as one of the first applications to be setup was Outlook 2016. I should say "tried" to be setup. As I have discovered, Outlook 2016 is not capable of connecting to our hosted Exchange server because Microsoft removed the protocol that was used to make the connection. I'll either have to revert to Outlook 2013 or use the OWA interface. Which is too bad as I was using Outlook 2016 on the old computer and liked it (apparently it was able to connect thanks to the existing profile from Outlook 2013). I didn't have much time to do much else on it as the install took most of the afternoon. I will definitely be digging in tomorrow though. Lots of applications to get installed. I will mention one last thing. 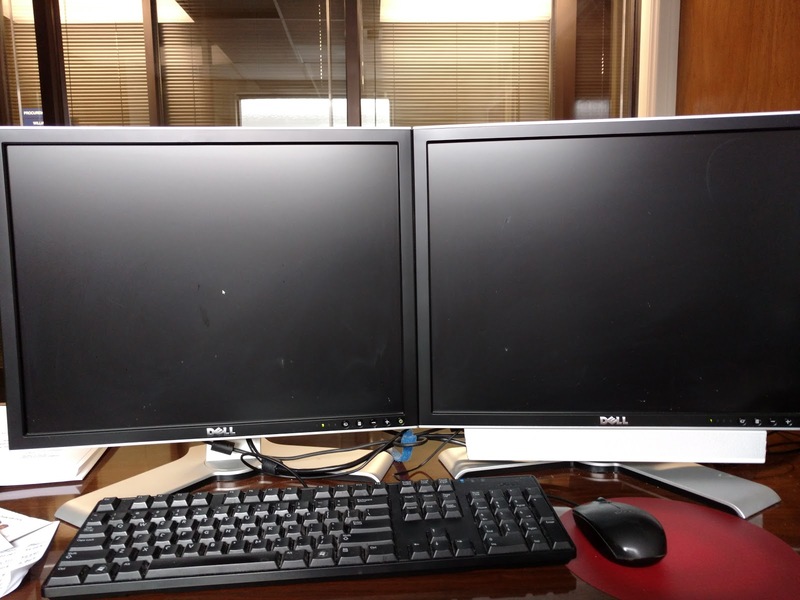 The monitors are 24-inch Dell monitors with really thin bezels. They are really nice. Not much of an upgrade in size from the 21-inch monitors I had, but I still look forward to the extra screen real estate. Video of my DIY project today. Replaced the vacuum pump in the MINI. As most know, I try to pinch the pennies, so I replaced the stock pump with one manufactured by Pierburg that I purchased from ECS Tuning. I'm not sure they aren't the supplier of the OEM part. The pumps look identical externally. Overall it was an easy repair. Biggest problem is trying to work around the tight confines of the engine bay. 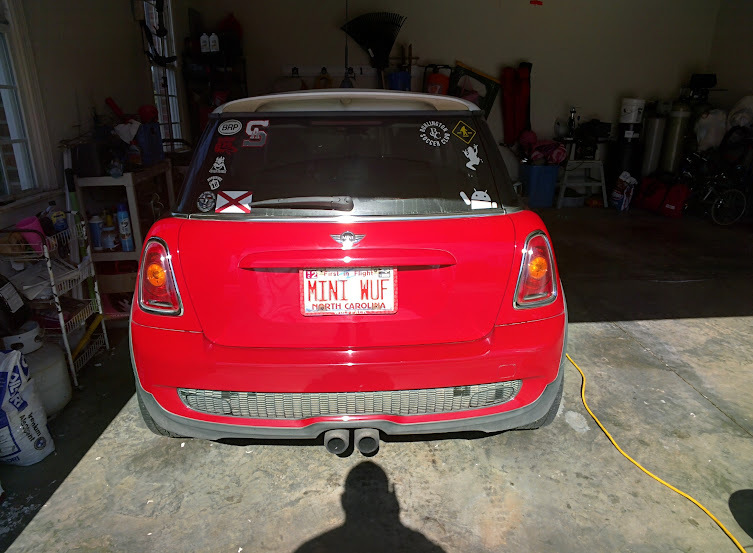 Those who have watched my progress on trying to do some detailing on my MINI know that one of the things I did was put on some new stripes. Technically this is the third set of stripes on my MINI. When I bought it, the MINI had the "factory" stripes on it. If you have looked at those closely, they are white with a black pinstripe that is printed on the vinyl. For the second set of stripes that I put on, which I went with both bonnet and boot stripes, I had plain white vinyl cut for the main stripe, with a gap of about 3/8-inch and then a plain white 3/8-inch pinstripe (I'm guessing on those size, but they were thin). I was told at the time that my gap and pinstripes were thinner than what a lot of people did, which was fine with me - more you-ification. Planning for this third set actually started about 3 years ago, maybe more, when I spotted the first stains starting to appear on my stripes. That was followed by the first cracks appearing. 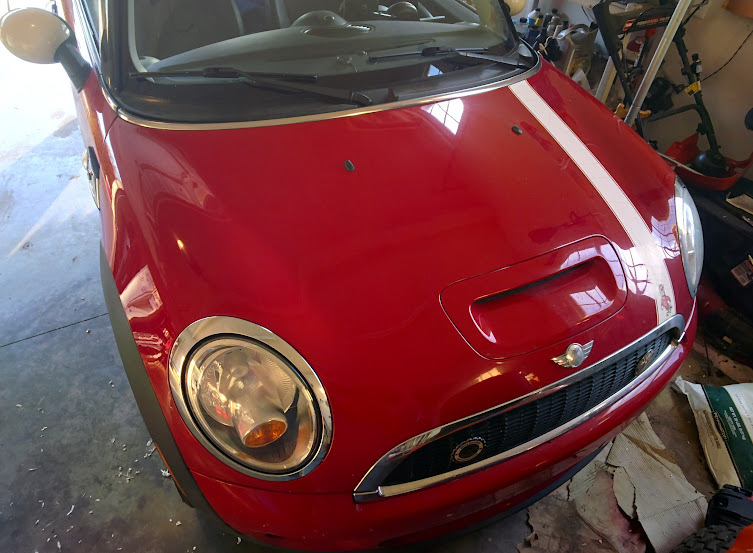 This second part of my MINI detailing documentation covers the rest of the prep work, primarily stripe removal, and then the actual detailing. This is just kind of a slapped together narrative. Was tired from being outside most of the weekend watching soccer, but decided I better do some work on the stripes. Good thing I did. I removed the second boot stripe and got all the glue off the boot. That took about an hour. I then decided to start on the hood stripes. What a pain that turned into. I managed to get one stripe (and related glue) off. That took only 3 hours. Looks like I know what I'll be doing either Monday or Tuesday night.